Two CONNECT investigators have been announced as IEEE Distinguished Lecturers for 2018. 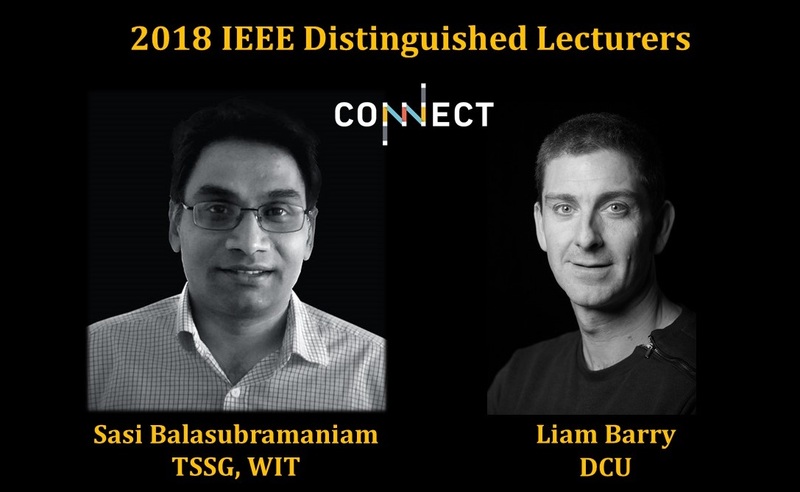 Professor Liam Barry, CONNECT Funded Investigator at Dublin City University, will be a Distinguished Lecturer for the IEEE Photonics Society. Liam’s topic is ‘Advanced optical sources for spectrally efficient photonic systems’. Read a full abstract below. Dr Sasitharan Balasubramaniam, CONNECT Funded Investigator at TSSG in Waterford Institute of Technology, will be a Distinguished Lecturer for the IEEE Nanotechnology Council.